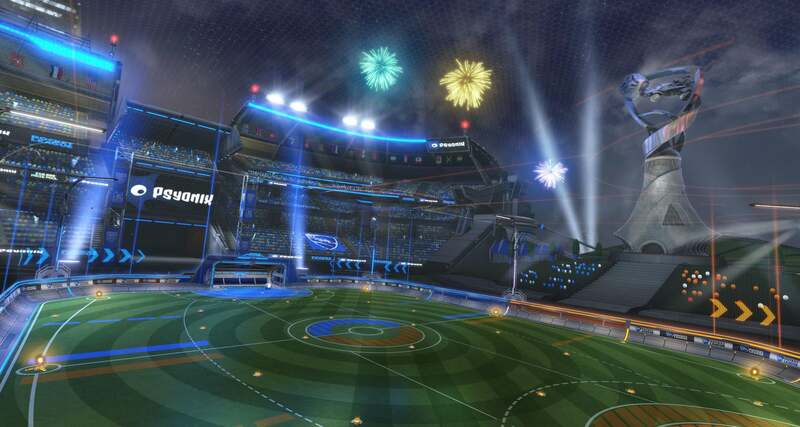 The next major update coming to Rocket League will be in celebration of reaching two years since the release of the PC and PS4 version of the game. You’ll be able to get your hands on the Anniversary update starting July 5th. Here’s a few of the new things coming in the update, with most of the content being free to all players. Starting off, everyone will get the new arena Champions Field which can be seen in the above picture. It will be available in all competitive and online playlists for the original soccer format. An additional change is a new customization option. A new “Trail” item will be available to color the tracks made by your car when at supersonic speed. These items will be the reward for whatever position you finish in season 4 of the ranked series, which ends at the time this update launches. Other than that, other items to customize this slot are promised in future updates and crates. By the way, a new crate will be releasing with the update. The new Overdrive crate will feature the usual wheels, decals and black market items as well as two new cars. The first car is the Centio V17, with the second being Animus GP. Both cars appear to be based on real racing cars, with Animus GP being closer to a Formula 1 car. Other news regarding crates is the new retirement system. Champions crates 1-4 will be discontinued and no longer drop after matches. This will continue with other crates as they will be set to retire roughly 6 months after they are introduced so the current crates are the most likely to receive. This does not mean the old crates are being removed. Players can still trade any leftover crates they have, as well as any contents they receive from them, at any point after they are retired. If you have any champions crates right now they may be quite valuable next month. Another new addition to customization comes in a different form. 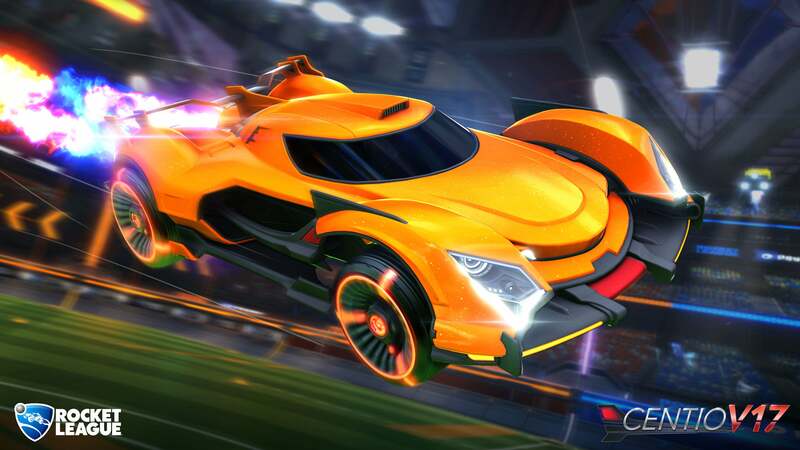 Psyonix is introducing Rocket League Radio in collaboration with Monstercat which will allow you to customize the menu music you want to hear. There will be four different playlists to choose from with more to come in the future, as well as a promise to have the option for music during matches. This isn’t strictly a menu feature though. You can listen to the first song for free on Spotify with new songs being added every Monday until release. Once the update is out you can check out the Rocket League Twitter account for more details on how to purchase the sound tracks if you wish. Of course these big updates are never complete without some new achievements. Here’s the list for you to check out, although the values have not been released. Once again, the Anniversary Update is available July 5th.